Texas, we have a much needed law signed by the Governor on Friday, May 27, 2011 that provides for the inclusion of pets in protective orders in family law matters. The new law provides for the protection of removing the pet and/or harming the pet while the order is in place. These protective orders may also include protection from threatening to harm the pets. In divorce cases, many times the pets became the focus of the ire of one of the spouses and became a way to get back at the other spouse by removing, harming or threatening to harm the animal. Sometimes a person would stay in a bad situation for fear of harm to their pets. This law provides for the inclusion of the pets in protection orders issued by the Family Code. This bill is awaiting the signature of the Governor. This bill provides that a veterinarian may release information regarding his client relevant to a debt owed for veterinary services rendered to the client. It also provides that a veterinarian may release a client’s identity and address and Rabies information to a public health authority, physician, veterinarian or other licensed health care professional for (1) verification of a Rabies vaccination; (2) other treatment involving a life threatening situation; or (3) a public health purpose. The public health purpose is not defined. This leaves open the possibility that this law could be used to seek out individuals who may not have registered their pets with local authorities as has been attempted in certain cities. This bill is awaiting signature of the Governor. This bill provides for a jury trial on appeal that is available to all owners regardless of the court in which the hearing is held. The law was not amended to include a jury trial from the outset in lieu of a hearing which is unlike other civil property cases. It increased the appeal bond by including the costs of investigation and expert fees which is not required in appeals of any other civil cases. This bill currently awaits signature by the Governor. The House version of this bill sought a $100 fee to be paid to local animal control by individuals convicted of animal cruelty. On May 20, 2011, SB 779, a bill to establish a cruelty database, was appended to HB 1103. SB 779 was left pending in Committee and faced dying otherwise. SB 779 also provided that those convicted of cruelty or who received deferred adjudication must attend a responsible pet ownership class. The House did not accept the amendment. What evolved was a blended version of these two bills. The current version only provides that a person convicted of animal cruelty who receives community supervision must attend a responsible pet ownership class provided by a municipal animal shelter. There is no database nor any fee to be paid to animal control. This bill is currently awaiting the signature of the Governor. When signed, it becomes effective immediately but breeders do not have to obtain a license until September 1, 2012. This amendment narrows who it applies to by adding a puppy limit in addition to the eleven intact females provision. Note that to qualify as a breeder both requisites must be met since the law is written conjunctively (with the use of “and”). The law does not apply to someone possessing ten or less intact dogs. Similarly, the law does not apply to someone who sells or offers to sell 19 or less puppies. Therefore, a person could possess ten intact females that produce fifty puppies and the law would not apply. Likewise, a person could possess fifteen intact females, but if only ten puppies are sold, the law does not apply. This bill provides that there is a presumption that anyone possessing this many intact females is indeed using them for breeding. The onus is on the possessor of the animals to prove otherwise. This amendment broadened the hunting exemption to including tracking and chase dogs. It added an exception for dogs that participate in hunting tests and other similar organized performance events. Notably, the dogs have to bred “primarily” for this use instead of “exclusively” for the use as in the original amendment. There are no special exemptions for cats. There was an exemption for conformation dogs and other performance dogs that was allegedly discussed, but never became part of the law. HB 1451 provides for inspections every 18 months (original bill was for an annual inspection) by third party inspectors who are employees of some undefined state agency, police officers and/or firemen. The bill also provides for a host of regulations that have yet to be determined by the Department of Licensing and Regulation and the Commission on Licensing and Regulation. These inspectors are mandated to investigate any complaints of violations of this law. There is no requirement that the informant be identified. There are three databases that are established by this law. The first is a Directory of all licensed breeders which shall be made available to the public. The second is a Disciplinary Database of any dog or cat breeder that has been subject to disciplinary action which shall be made available to the public. Finally, there is a Consumer Interest Information database that will describe the functions of the department and how to make a complaint which is made available to the public. This bill currently awaits signature of the Governor. This bill broadens the counties that may restrict the roadside sale of animal to include counties with a population of more than 450,000. The current law pertains to counties with a population exceeding 1.3 million. This law changes current law which went into effect in 2007 by providing an exception for the sale of livestock animals for counties with less than 3.3 million in population. This change allows for animals such as chickens to be sold roadside but not cats and dogs (non-livestock animals). In 2007, the counties that had a population greater than 1.3 million included Harris, Bexar, Tarrant and Dallas counties. The county commissioners in each of these counties passed such legislation. With the change, only Harris County has a population greater than 3.3 million so in all other counties vendors may sell livestock roadside. The current counties with a population greater than 450,000 that can enact this law include Travis, El Paso, Hidalgo, Collin, Denton, and Fort Bend counties. The commissioners of all these counties may choose to enact laws prohibiting the roadside sale of non-livestock animals. 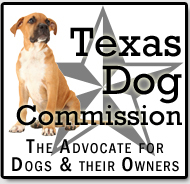 Texas has 254 counties and this law applies to only ten of them which means that 244 counties in Texas allow for legally selling dogs and cats roadside. Cities can adopt whatever ordinances they want regarding the roadside sale of animals. Counties must get authority from the state to do so. The bill is awaiting signature from the Governor. This bill is similar to a Good Samaritan law but for rendering medical attention to non-livestock animals (e.g. dogs and cats). The bill would limit liability of someone who has rendered medical attention without compensation if the person tries to locate the owner of if a veterinarian indicates treatment is needed. A similar exception exists for animal control. These exceptions apply in emergency situations (natural disaster, hazardous chemical event, vehicular collision with animal or other transportation event) but do not exempt acts of gross negligence. This bill was on the move earlier but unfortunately died. HB 2679 provided for a jury trial from the outset in dangerous dog cases and provided for appeals in all of these cases regardless of which court they are filed in. Right now, some owners will not get an appeal because of a glitch in the law regarding appeals from certain municipal courts. This bill did not get passed despite support from the Texas Bar Association’s animal law section which failed at garnering support for its passage. This law is needed so that all dog owners will get similar treatment regardless of where they live and so that they can be assured fairness by getting a jury trial from the outset. Dogs have paid and will continue to pay the ultimate price with their lives because of an unfair glitch in the law. Animal owners and animal organizations need to work together in 2013 to rectify these most unfair problems in the law. This bill is awaiting the Governor’s signature. This bill prevents lodging establishments and restaurants from charging extra for service dogs and search and rescue dogs if the person is a peace officer, firefighter or handler of a search and rescue dog under the authority of law enforcement agency or search and rescue agency and the person is away from their home jurisdiction while during a declared disaster or in training. 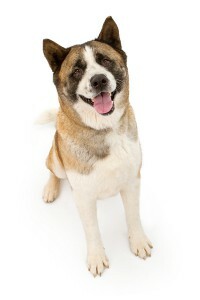 However, the handler or agency will be liable for any damages done by the dog.